Best types of boot soles! Do you know them? Boot soles are part of the boots, but there is confusion when it comes to determining the best. Since soles might make your boot comfortable or uncomfortable depending on your likes, you need to get familiar so that you can choose the best. The following is a list of some common types of boot soles! Some people refer to this sole as a lugged sole, and they are usually found on hiking boots. The sole comes with rubber and has a thick thread. What many love about the sole is that it is water-resistant and offers incredible traction. Buying a boot with commando sole means that you can enjoy hiking without having to worry about tripping when walking on sloppy grounds. The sole is iconic mid-century workwear, and it is most common on Red Wing boots. The sole combine stability and traction and remaining being lightweight. Since the soles are a bit high, short people get an extra inch high while wearing the boots. 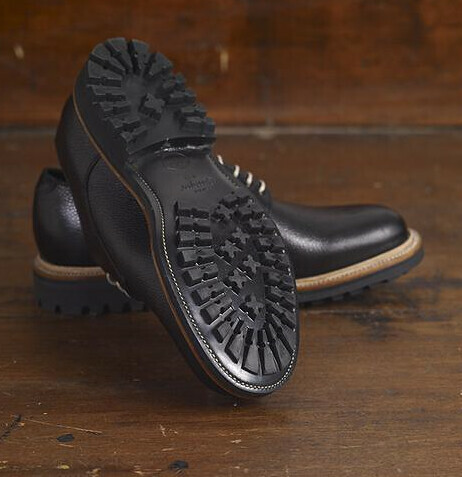 The sole is a brand of Harboro Rubber in England, a company known for manufacturing quality soles. What makes these soles unique is their low profile and round buried lugs. The lugs offer a much thinner low profile when you compare the sole with other lugged sole choices out there. Since the soles come in a slim design, these soles are found on dress boots. Rock your outfit with these boots for an excellent look. These are strong rubber sole option that is found on various boot styles. Most people characterize the boots by the large ridge channels and thick and protruding lugs that offer excellent stability and traction. These soles are lighter than commando soles but still thicker than Dianite soles. They also come with a raised profile. If looking for a hard-wearing boot sole, these soles are the best option. These are soles that everyone should have. They are the best option for rubber and leather boots soles. The shoes vary by brand and style, but you can differentiate it with its leather sole that comes with attached rubber parts in the forepart or the heel. Combination soles are dream soles. Combination soles are familiar with dress boots that want to resemble the look of leather boot sole but has an added traction and stability. The sole is a rubber composite work boot with an excellent low profile. Combining pieces of cork with rubber makes the soles lightweight without losing on durability. Such soles do not have tread, and so nothing sticks to your soles as you walk including mud, snow, or ice. Winter is here, and if looking for boots that will help you to walk with ease on the snow, these are the boot soles to consider. The soles come with rubber direct from the source. They have a latex construction that available straight from the rubber tree. The soles are milky yellow, have a somehow sticky texture, and are a bit heavy. American used the soles in the past during World War Two, and the boot is still able to make the same boots to date. If looking for a durable and robust boot sole, Plantation Crepe is what you need. Choosing a boot with such a sole helps you get the most out of the boots regardless of where you go. There you have it. There is more to boot soles than people think. In case you are not comfortable with the boots that you own, think again about the soles for they can make you like or hate a boot. Just use the above guide and make a wise decision the next time you decide to buy a boot sole.